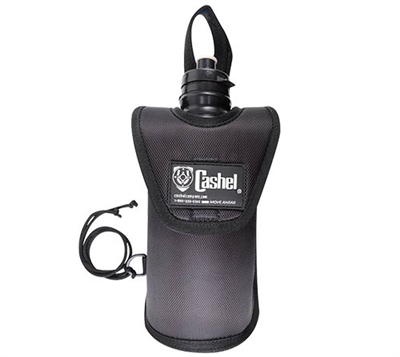 This structured and insulated bottle holder with an easy-to-attach adjustable velcro strap attaches to the pommel or horn of most saddles. A lower string attaches to your saddle D-ring for added security. Water Bottle sold separately.